The Digital Twin is the best strategy for industrial Digitization and to implement Industry 4.0 and it’s connected products and services. 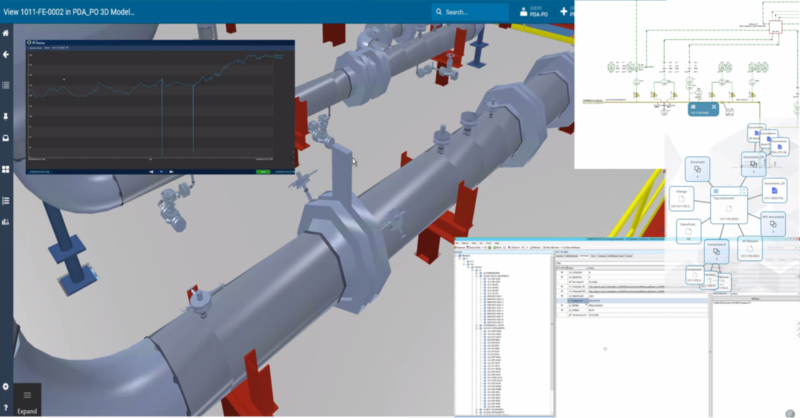 We are proud to help OSIsoft®and HEXAGON® developing a new technology of connection the real-time infrastructure with the engineering world of the customers plant information modell and provide our customers with IoT concepts to industrial environments. We are talking about the connection between two major industry standards. The OSIsoft PI System® is getting his production modell from HEXAGONs SPF® (Smart Plant Foundation) into OSIsoft’s PI-AF (Asset/Analytical Framework) and is sending his real-time data into the 3D and P&ID world of HEXAGONs Asset Lifecycle Information Management.